Quel sera le meilleur plan pour vous ? Parfait pour ceux qui veulent se lancer et travailler sur leur activité complémentaire ou sur un projet spécial durant une période déterminée. Le plan préféré de nos membres. Il est possible de combiner les matinées ou les après-midi. Allier un travail chez soi et au Betacowork pour accroître sa concentration et booster sa productivité. Puisque certains d’entrevous aiment une stabilité et une grande continuité de travail, ce plan est le chemin vers plus d’interactions et de croissance. Vous pouvez laisser votre matériel, documents et bonnes vibrations sur votre lieu de travail exclusif. We are a startup ourselves, iterating and improving as we face new challenges. This means that our Terms & Conditions page is a work in progress and that it will evolve and change continuously. Whenever there is a major change we will update the members directly by email, but it is your job to check it regularly to stay up to date. These Terms & Conditions are the contract among the members, the Betacowork Coworking Brussels hosted and the ICAB.The moment you click on submit in any of our plans, you are engaged as a member with the rights, obligations and responsibilities that this implies. You do not have to specify when you are going to come if you have a 1 Day a Week or a Half-Time plan. The only limit is in the hours where you can access the building and the total amount of hours you can enjoy. Spread the time of your plan over the month to suit your needs. All plans are unipersonal: if you are more than one person in your company and you want to work together you have to subscribe to one plan each. The hours of usage are not transferable. If you cancel or downgrade your plan, you must give a one month’s notice (like at the gym: one month before the start of the next billing period.) The current rate will be applied to the new plan chosen. Manage your plan changes yourself via the members dashboard. If you’d like to update your plan, it can be done immediately (a corrective invoice will be sent.) Manage your plan changes yourself via the members dashboard. Your profile and your company/project will be included in the members section with links to your Linkedin and websites. You are responsible to update this information via your member area. All members are required to update their profile with a recognizable picture of their face within one week of signing up or upon their arrival for their first day in the space, whichever comes first. We are a community, we have to make it easy to know and find each other. Use as your company’s official address and receive your mail and parcels (starting at 1 day per week plan.) It is your responsibility to ensure that your address is correct. You are responsible for your own equipment and for your actions in the building. If you want to have your equipment insured you have to do it yourself. Your personal liability insurance has to cover any damages you could inflict to the building or people in it. 2 month deposit for all plans (VAT included.) + 100 Euros as key & badge deposit. 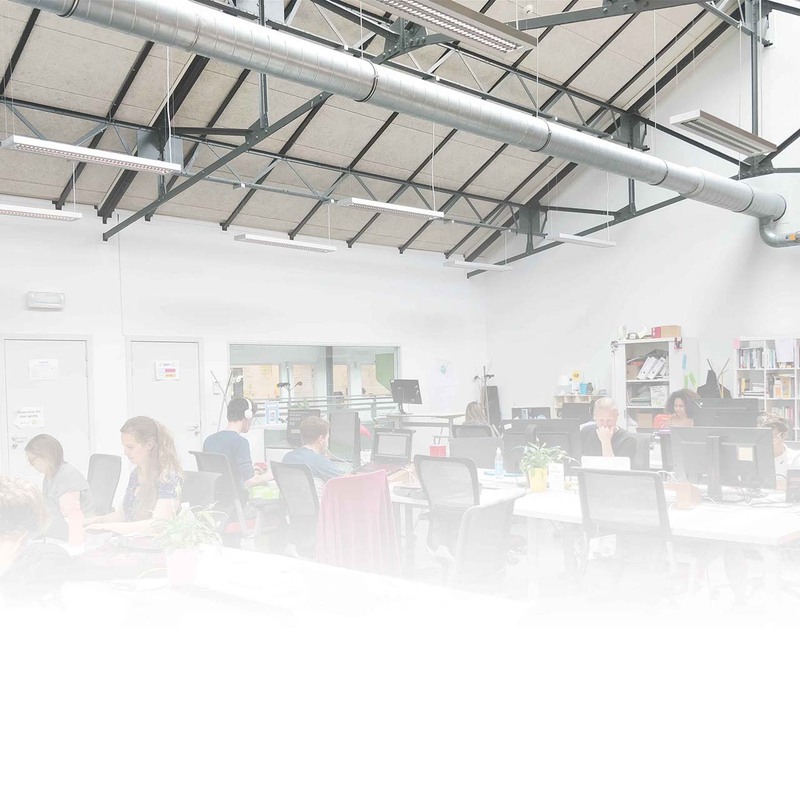 The Betacowork Coworking Brussels and the ICAB reserve the right to end the contract at any time with one month notice, and immediately in cases where the member is harmful or detrimental to the other members. All bills are sent by email and letters are sent to the official HQ of your company. The Betacowork is never responsible in case of loss of mail, messages, correspondence, etc. addressed to clients. The courts of Brussels in French will be competent in case of dispute, Belgian law shall exclusively apply. Faire un premier pas ou bien rester en contact avec la communauté lorsque la vie nous emmène ailleurs.